→Top 13 Keto Podcasts You Should Listen To Transform Your Life! 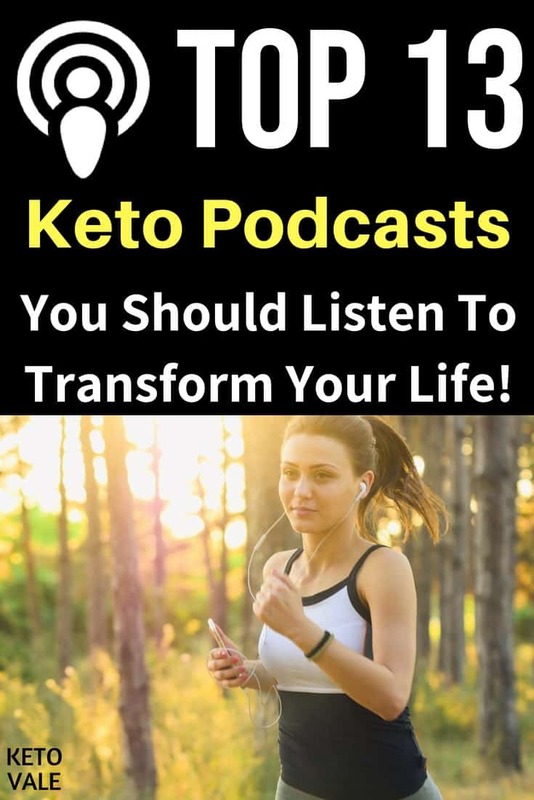 Top 13 Keto Podcasts You Should Listen To Transform Your Life! More and more people listen to podcasts nowadays, and for a good reason – they’re super convenient and can provide you with plenty of information from a very diverse array of sources, as well as with many different points of view on a specific topic, while you’re doing something else – driving to work, walking, hiking, working out, cleaning, and so on. You can combine podcasts with some sort of physical activity in order to get the benefits of both – moving more, while learning new things at the same time, and getting fresh perspectives on topics that interest you, such as diet, lifestyle, fitness and many more. There are a number of great podcasts about keto diet and fasting topics that have appeared in the past few years, and some of them are extremely promising. We have selected the best keto podcasts for you, if you’d like to get the latest news from the world of keto, learn more about this way of eating, and get inspired on tweaks you can implement to improve your health and performance, as well as on how to overcome specific struggles related to keto. This is an absolute must for keto dieters looking for new podcasts, as it is by far our #1 choice for keto podcast hosted by a doctor (both DC and MS). Dr. Anthony Gustin has a very science- and evidence-based approach to keto, and his podcast features many interviews with nutritionists, influencers, experts, and thought leaders. 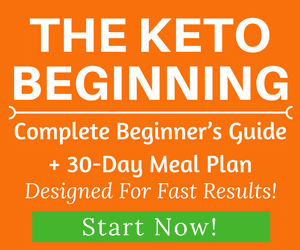 Dr. Gustin is the founder and CEO of ketogenic supplement company Perfect Keto. 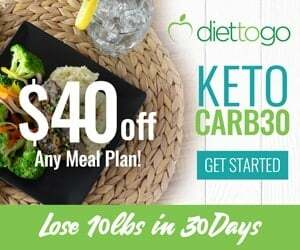 You can learn more about Perfect Keto’s high quality keto supplements by clicking here! 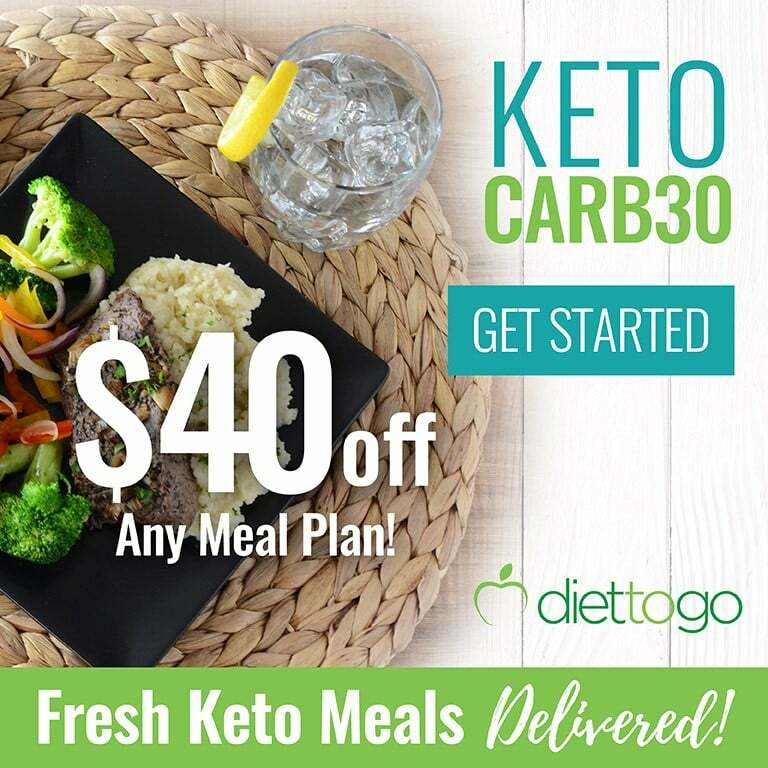 whole food & keto, and more. 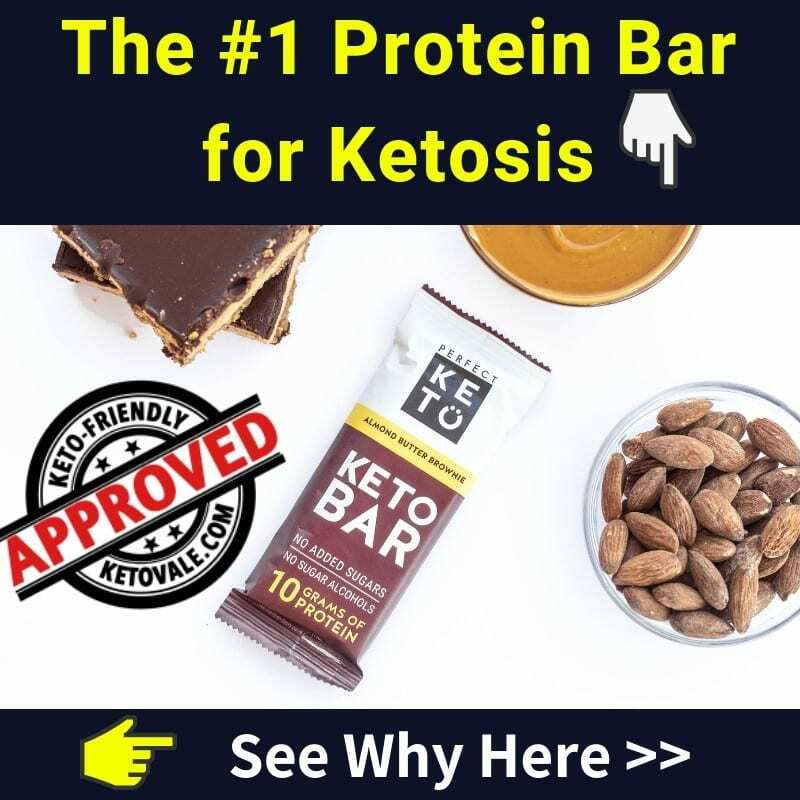 He and his guests give great advice on how to do keto and achieve great results with it, and everything is always backed up by their solid scientific knowledge on metabolism, fat loss, gut health, fat adaptation, and more. He aims to explain everything in a way that is easy to understand and that doesn’t require a background in science or medicine. Leanne Vogel is a bestselling author and nutrition educator. 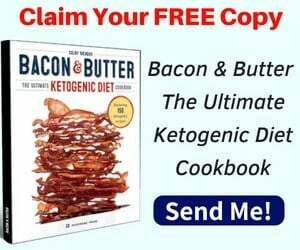 She has helped many individuals to achieve success with Ketogenic diet through her books and programs, including The Keto Beginning, Fat Fueled program, and her latest book The Keto Diet. the keto diet and candida, and many more. Vogel has started her podcast in 2016 and will soon reach her 100th episode mark. Listeners love her podcast and the way she empowers women and encourages them to stay on top of their lives and diet, so it’s definitely something to stay tuned to. It’s not exclusively about keto, but there’s plenty of interesting information about diet and nutrition. insomnia & other problems related to sleep, and a lot more. A new episode is out every Thursday and their archive contains more than 100 episodes, so you’ll have plenty to listen to. how to deal with sugar addiction, and many more. A new episode is uploaded every week, and sometimes more often. cholesterol levels on keto, and more. 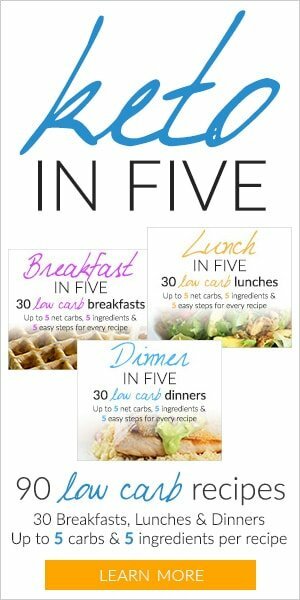 fasting for women, and more. Mynar’s podcast has been featured on Healthline’s best keto podcasts for 2017, which is quite big of a deal. There’s a new episode every week, and more than a year’s worth of archives. endurance sports & fat adaptation, and so on. The Ketovangelist Podcast advocates changing not only your diet, but changing your lifestyle altogether, in order to improve your health and achieve long-term weight loss. A new episode is out every week, and there’s more than 160 of them in the archive. New episodes come out every 2-3 weeks. and many, many more. There’s over 500 episodes in Bulletproof Radio’s archives, and a new one comes out every few days. As far as keto podcasts are concerned, you’ll be spoilt for choice. 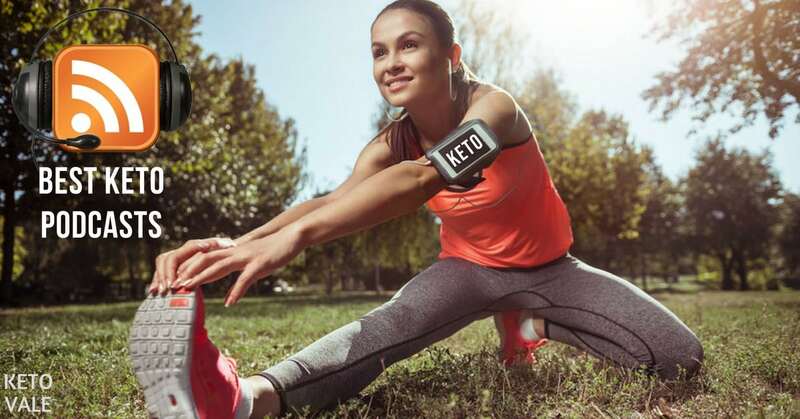 If you’re too busy to read keto books or articles online, you can still keep up with the latest news from the world of keto by listening to podcasts while commuting, taking a walk, working out, working in your garden, and so on. We’ve selected our favourite podcasts to help you improve your understanding of your diet & lifestyle and how to make the best out of it, and you’ll learn a lot about a number of keto-related topics that you’re probably less familiar with. We’d also love to know what your favourite keto podcasts are, so don’t forget to share them with us! Enjoy this list? Pin to save it for later! What Are The Best Keto-friendly Popcorn Substitutes?